Rev. Marjorie is a Medium who seeks to prove the continuity of life through evidence brought through during readings. Your loved ones will present themselves through names, memories, personal relationship, manner of passing etc. Be there as Marjorie brings through messages from the other side. Rev. Marjorie Augustine Rivera is a Spiritualist Minister trained in Lily Dale NY, the owner of The Divine Wisdom Shop in Pittsburgh PA and half the radio show called “Two Mediums at Large”. A professional Psychic Medium for many years, Rev. Rivera is known for her enthusiastic platform readings. This will be a discussion about how your beliefs establish the limits of what you can achieve. These beliefs, usually subconscious, are the cumulative effect of lifelong “programming”. This will be an introduction to a technique called PSYCH-K®, an easy way to assist in changing the subconscious beliefs that may be sabotaging well-intentioned actions. Judy Burke is a Reiki Master and a certified One Command Practitioner Coach. She has been certified in Spiritual Response Therapy, Theta Healing, Matrix Energetics, Psych-K, Emotion Code and other modalities. She sees private clients and sponsors various classes and retreats. For over 20 years she has sponsored World Healing Day and other global peace meditations. In 2009, Judy was the Pittsburgh regional coordinator for Live H2O – a global event to heal the Water. Each of us has our own chakra system, which we form from before we walk on the earth, to today. As we grow up, we learn chakra and life patterning from our parents. Most of us collect some form of trauma along the way to adulthood, and in adulthood. I will share some of the experience I’ve gained through my years of working with our spirit guides and the angels. We will go over the basic components of how trauma settles in the body and how to begin to clear it. We will do a group grounding exercise, and I will give you tips to use yourself, at home. Lisa is an energy healer, who enjoys working with people, their spirit guides, and the angels. She works with animals as well. She enjoys assisting people move into a healing space, clearing past experiences and the imprints they have left in the body, chakric system, and emotions. Everyone has psychic ability. It can be a gut feeling, a premonition or ability to connect with those who have passed. Learn about the different skills and abilities used by professional psychics. Get simple tips and pointers that anyone can use to improve. In this lecture we will explore guided meditation, one of the best techniques that you can use in your daily life to be more psychic. Debbie lost her sister to Leukemia when she was fifteen (her sister seventeen). Her sister’s passing has given Debbie the courage to take risks, dream big, be adventurous, and savor every moment of life. Debbie will share the beauty of spiritual connections and her 25 years worth of experiences with her sister. Debbie believes its these connections that help us turn our pain into peace. Understand how to find peace, comfort and love through life’s challenges. Debbie Heneghan is an inspirational spiritual teacher, author, intuitive, Reiki II certified healer and angel worker. She is also a professional business woman working as a Software Architect for 20 years. Her passion is to help others turn their pain into a peaceful healing energy to live the most spiritually fulfilled life possible. We live in a fast-paced world filled with lots of responsibility and struggles. Our lives are filled with pressure and stress and our mental attitude and emotional experience reflect this fact. In our own ignorance, we make a habit of looking for happiness, peace, joy and content where they are not. Inside you there is an ocean of peace and happiness and a well of strength that never runs dry. To experience it, all you have to do is go to that place inside yourself where this power exists naturally. In this mini-lecture you will learn a simple, effective Supreme Meditation technique that you can engage anywhere, at any time during your day. You will also learn more about the Supreme Meditation path and its spiritual head, Acharya Kedar. This mini-lecture will be led by Jacque Parfitt, assistant to Shri Acharya Kedar. She has been managing Supreme Meditation programs for the last two years and serves on the Board of Directors of the Supreme Meditation School. Three bouts of breast cancer. Two divorces. The death of her parents. How can someone face all this and still meet each day with optimism and joy? In this upbeat and fascinating session, international psychic medium and three-time “cancer dancer” Rev. Corbie Mitleid will share with you the gift that has changed – and charged – her life for almost thirty years. Learn about the “Option Process” and its six shortcuts to happiness, the cornerstone of the breakthrough work of Barry Neil Kaufman and Samahria Lyte Kaufman. In an instant, you can change your life by changing how you choose to live. Happiness is a gift you can give yourself – you have the choice! Corbie Mitleid is a Certified Professional Tarot Reader, a member of the American Tarot Association, and an ordained minister. As a counselor and inspirational speaker, she travels coast to coast and into Canada working with some 1,500 clients annually. A trained medium, her work is showcased in the breakthrough book YOUR SOUL’S PLAN: Discovering the Real Meaning of the Life You Planned Before You Were Born by Robert Schwartz. Corbie can be reached at 877-321-CORBIE or www.firethroughspirit.com. Discover the power you have right within your biology, the theta brain wave that is life changing, and the DNA and neurology that puts you in charge of your life in amazing new ways – with fantastic results! This is an introduction to a simple Six Step Process that reconnects you to your natural creative intelligence, and disengages you from the fearful, limited view of what is possible. Barry Helm psychic, channel, bodyworker, healer presents A Channeled Healing Meditation assisting those present in their transformational process. Aromatic oils have been used for thousands of years not only for their fragrance but for culinary, therapeutic, ritual and spiritual purposes. Drawing on research, clinical studies and her own professional experience, Lisa LeRose will explore aromatherapy and reveal how it can be used to enhance almost every aspect of our lives. Join Lisa to discover practical information and techniques you can apply to your everyday life to soothe the senses, promote health and generate a sense of well being. Lisa LeRose is a natural health crusader, board certified holistic health counselor and an aromatherapy educator. Lisa educates people on the use of essential oils to combat health challenges using body system therapies. Visit www.onewisdom.org to learn more. Cayce’s descriptions of the Essenes of Mount Carmel reveal the religious sect to be an ideal for others who would prepare the way for the Second Coming of Christ. Cayce’s revelations of Jesus’ so-called “lost years” as a youth studying in Egypt, Persia, and India suggest an important compatibility of between the eastern and western religions. Cayce’s Christology also makes the Christ soul not only an ideal and pattern toward which everyone should aspire, but a living presence to guide people toward “at-one-ment” with God – the perfect divine-human unity which Jesus attained. Bob Heath is retired and was first introduced to the Cayce readings in the 1960’s and at that time entered into a Metaphysical search for truth. Still searching! Former Regional Coordinator, Lake Erie Ohio Valley Region, for the ARE, Cayce organization. Speaker and lecturer on the Essenes, Cayce, Past Lives, Aramaic translations of the bible and spiritual life and its purposes. 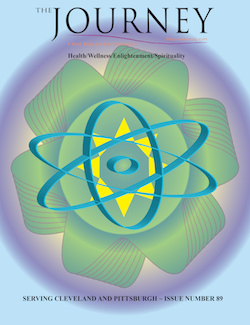 Healing sessions of Far Infrared Light are becoming a commonplace occurrence in recent years. More and more health professionals, and consumers are becoming aware of the incredible benefits that one can derive by being in a Far Infrared Sauna. Even the Mayo clinic has stated that they recommend it for all of their heart patients. When a person sits in a Far Infrared Sauna, they absorb the light, which pulsates all the water molecules and cells of their body. This increases the core temperature of the body, sparking a healing process, of increasing the metabolism, and the flow of lymph. The results are giving the Far Infrared Sauna a reputation for being one of the best ways to help the body get rid of heavy minerals, and even dioxin.